The presentation is enhanced with maps and illustrations from 18th century sources demonstrating the migration and settlement of culturally and ethnically diverse peoples. 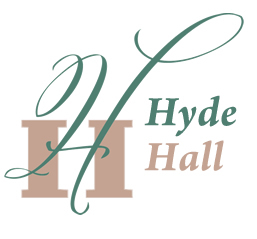 Saturday, July 14 at 6:30 pm In the Kent Center, Hyde Hall. 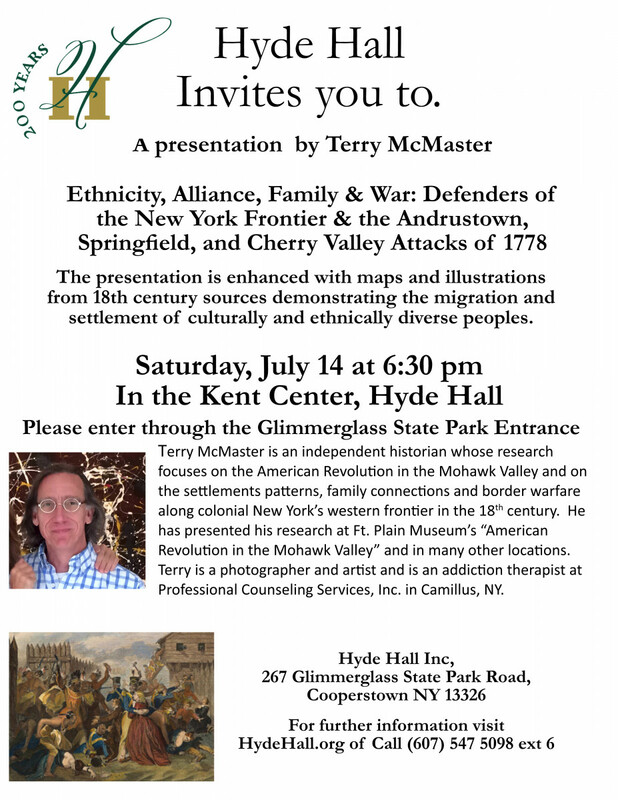 Terry McMaster is an independent historian whose research focuses on the American Revolution in the Mohawk Valley and on the settlements patterns, family connections and border warfare along colonial New York’s western fronieer in the 18th century. He has presented his research at Ft. Plain Museum’s “American Revolution in the Mohawk Valley” and in many other locations. Terry is a photographer and artist and is an addiction therapist at Professional Counseling Services, Inc. in Camillus, NY.